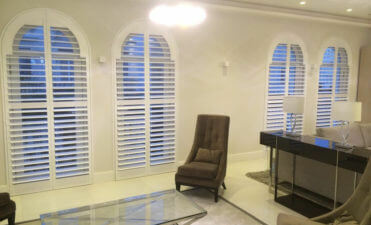 Our shutters are completely bespoke to your own taste and preferences, including the colour that we finish them in. 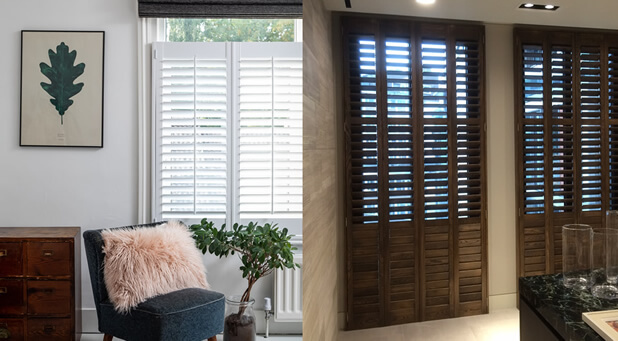 Once you have picked where the shutters are to be installed, the material and the style, one of the fun aspects of picking out your new shutter design is often the final finish which can really make a huge difference to how they look and feel with in your room and home. You may have a pretty good idea of the colour you want them finished, but we are also on hand to help you in making that decision if you require our input. 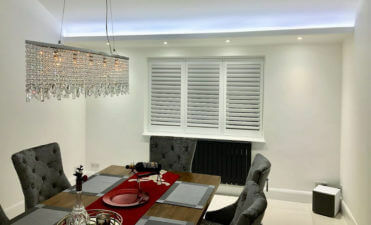 We have worked with a massive array of properties throughout the UK and can advise on what works and what doesn’t, with certain windows, areas and homes. 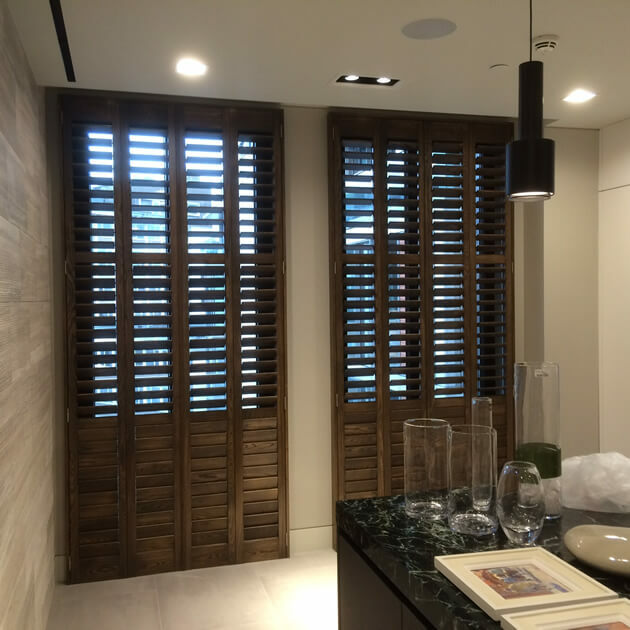 The painted or stained finish can help the shutters blend with the existing room and décor, or stand out as a main focal point of the room. Some clients prefer the more subtle look where they tie in perfectly with the colours of the walls and area, others would much rather that they pop and stand out against the place they have been installed! So what are the options when it comes to colour and finish? Dependent upon the material/range we are working with there are different options as to what colours are possible. You can find more information about the colours that are available for each range on their information pages here. 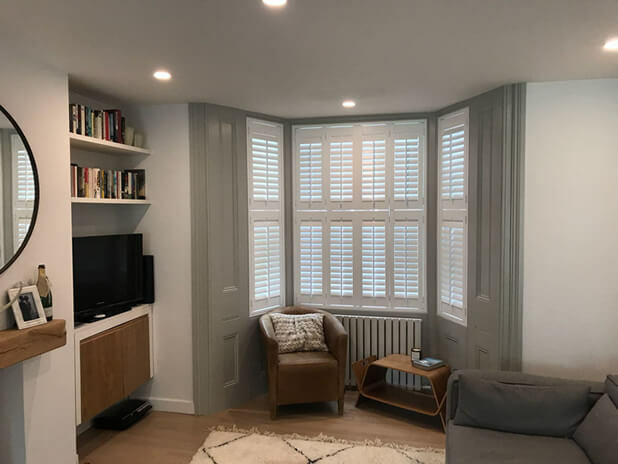 With shutters exposed to different elements throughout their life, a good paint finish can really help to protect the shutters and their longevity. A paint finish can also be applied to PVS or metal shutters, as well as traditional wood. Paint provides amazing protection helping to protect the wood within from harsh light, warping and splintering. With painted finishes there are many different options with shades of whites, pastel colours and also custom colours which allow you to really pick something special! We can custom colour match to many of the leading paint brands including Dulux, RAL, Farrow & Ball, Fired Earth, Paint & Paper Library and Little Greene. If you can get us a sample of a colour you like we can also match to that! Our stain finishes are a great option for those who want to maximise the natural wood grain look of the shutters. A natural look, staining helps bring out the beauty of the wood within whilst protecting it for years into the future. 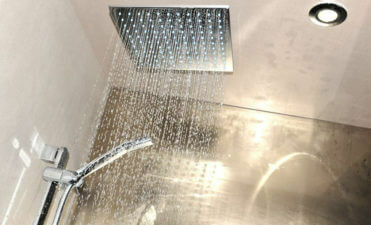 It helps protect against sunlight, moisture and other damage which bare wood can be susceptible to over time. We have many stain finishes which can even be closely matched towards other wood elements or furniture you have within your house, with oaks, teaks, mahogany, cherry, walnut and many other finishes including weathered and rustic looks available! 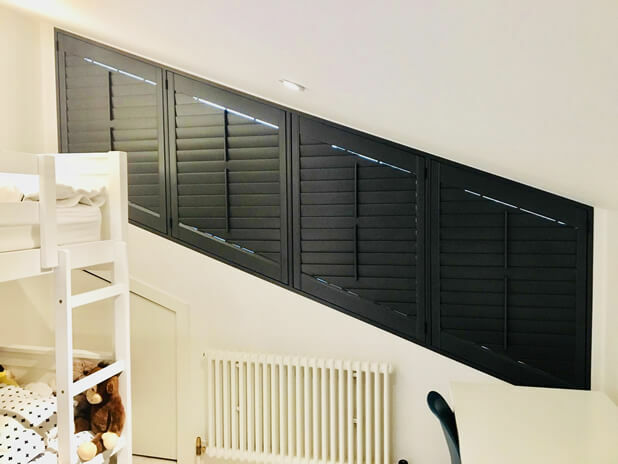 Did you know you can use our “choose your shutters” tool to help nail down the look and finish of your shutters and see which paints and stains are available in each range? 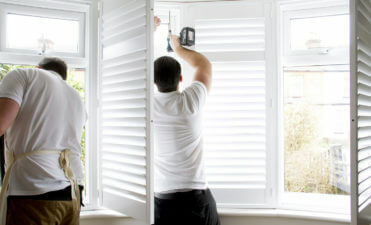 We are also happy to discuss all the options with you in detail and help you design your perfect shutters!